A view of the village from the church belfry. We can see the farmer’s wagons loaded with milk cans driving down Robichaud Street around 1930. From 1913 to 1940, the Rue de la Beurrerie was bustling with activity. Cacouna’s farmers frequented “Creamery Street,” their horse-drawn carts laden with milk cans. At the creamery, buttermaker Louis Lévesque weighed the milk and cream and determined the fat content. A steam engine powered the creamery’s big churn, producing substantial amounts of butter, especially in July and August. Fifty-pound boxes of butter were stored in the ice house and distributed to shopkeepers in Cacouna and the surrounding area. House and store of the Louis Bossé family around 1940. Near Lévesque’s creamery, on the corner of Robichaud and Mgr Landry streets, Jos Moreault had a store selling food staples and hardware. Louis Bossé and his wife Alice Dionne bought the store in 1930. For the next ten years, farmers, clients of the creamery and families from the neighbourhood shopped there, piling milk cans, jugs of vinegar and molasses, bags of flour and sugar, boxes of nails, screws and putty, pots and pans and garden tools into their cars. Bossé was also a horsetrader, buying horses in western Canada and shipping them through Montreal where they were loaded onto trains. He sometimes received two train cars full of horses at the Cacouna train station. Bossé would herd them down Rue de l’Église, through the village and onto a pasture south of his stable behind the Lévesque creamery. A.Y. Jackson with the Group of Seven at the « Arts and Letters Club » of Toronto in 1920. 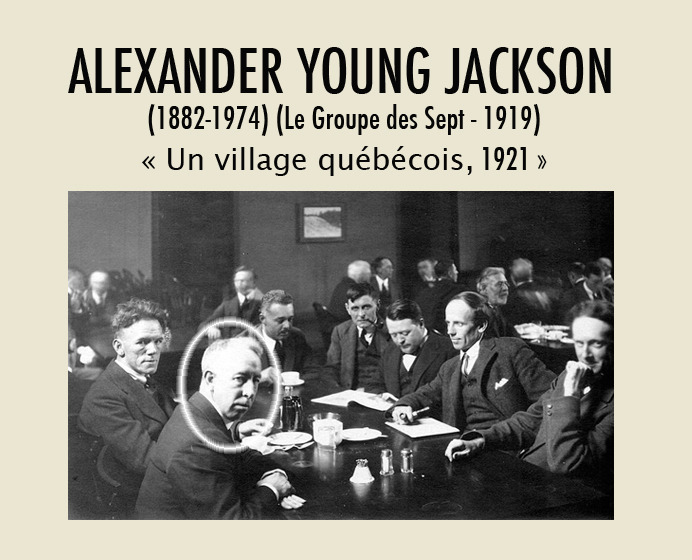 Alexander Young Jackson, Montréal, 1882-1974. In 1919, Jackson and six painter colleagues formed the Group of Seven. 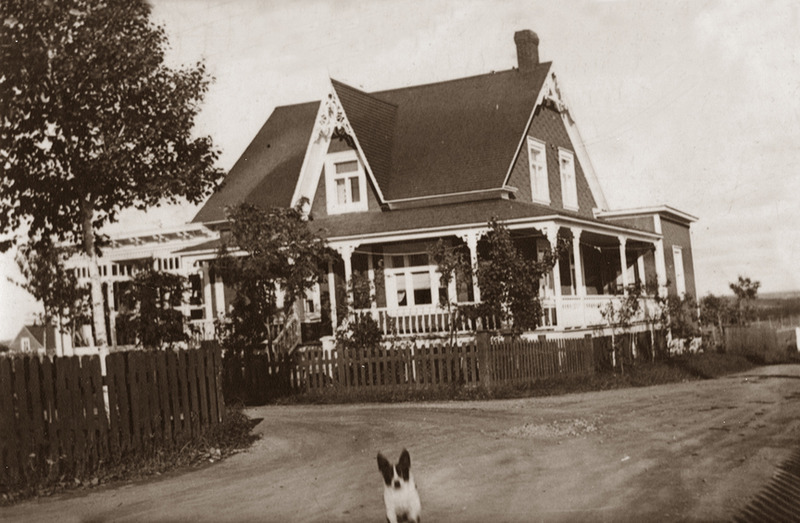 In the spring of 1921, Jackson stayed at Cacouna House, property of Samuel Lebel, where his friend, painter Albert Henry Robinson, joined him. 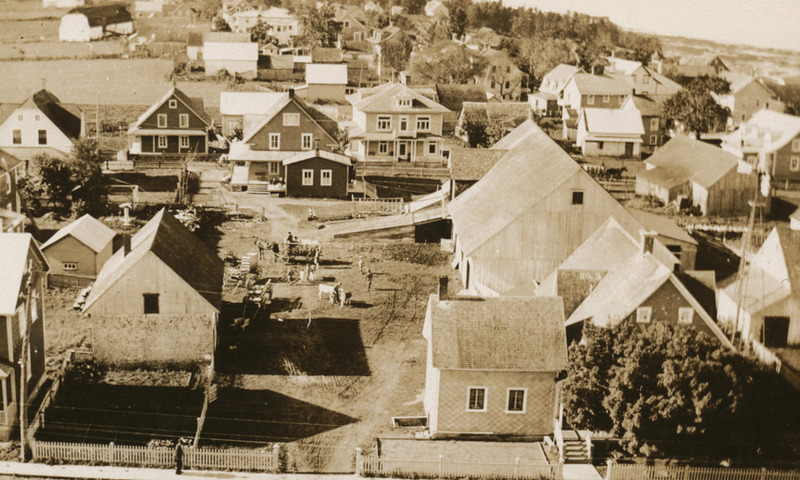 While he was there, Jackson realized, among others, a painting he named A Quebec Village illustrating a view of the church area from the Robichaud street. A.H. Robinson painted «Returning from Easter Mass» in 1921. Easter was on Marsh 27th that year and the snow had not yet melted. 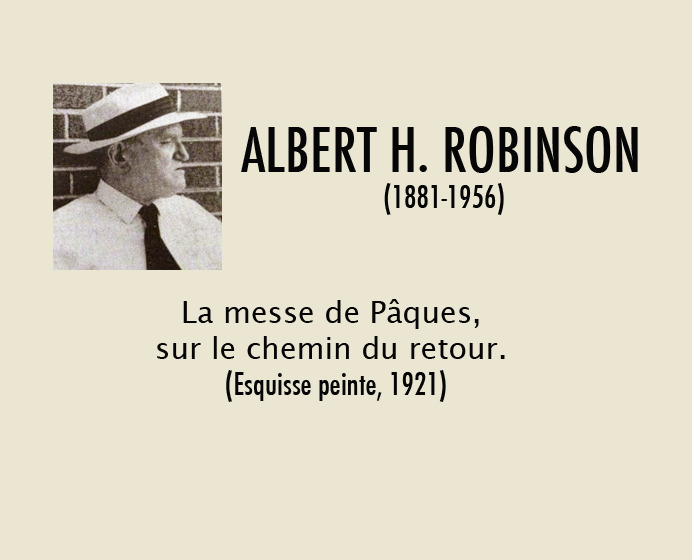 In his memoirs, Robinson’s friend, painter A.Y. Jackson, recalls their visit in Cacouna.